The Long Dark has just received one of its biggest updates yet; one that completely overhauls the game’s storyline (Episodes One and Two), as well as additional fixes and improvements. 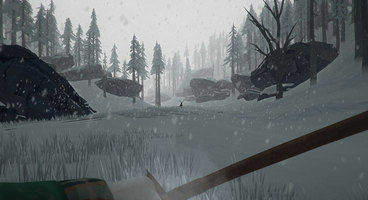 The Long Dark Redux is, then, just a continuation of the efforts of the developer – Hinterland Games – to keep improving the game as much as humanly possible, alongside working to push out the three remaining episodes of The Long Dark Wintermute. “The “Redux” represents thousands of fixes and improvements, as well as entirely new content,” says Hinterland, pointing out that the sheer volume of changes that’s been made is far too numerous to conclusively list. Instead, developers have separated their patch notes into various areas of The Long Dark that have been improved. Namely, Hinterland note that they’ve entirely reworked the narrative through both presentation and content, as well as revamping the core campaign mission structure so that side content is “properly optional” this time around. Further, they’ve also reduced the amount of backtracking required to complete missions, as well as integrating the Bear Hunt missions into Episode Two. 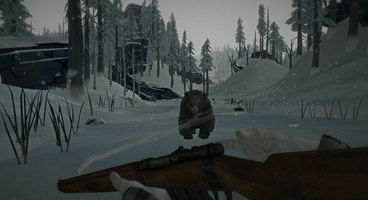 The Long Dark Spear seems like one of the most fascinating additions to those who’ve spent a lot of time hunting predators in this game, though the developers assure us that other additions are no less exciting, too. Do note, however, that your pre-Redux saves are not compatible post-update, which is a bit of a bummer. The Long Dark Wintermute: Episode 3 is set to come out sometime next year, so stick with us for more info as it is released.